In FIRST Steamworks, alliances of 3 teams try to deliver gears to their airship and shoot fuel into their boiler. Teams deliver a gear by placing it on a peg that will then be pulled up onto the airship by the human players. On the airship, there are 4 rotors which all need a different amount of gears needed to get it spinning. They spin by having the human player sequence them together on the edge of the airship and spin them until the rotor is also spinning. Once the team has a rotor spinning they get points. Shooting fuel into the high and low goal will also earn you points. In the final 30 seconds of the match, your team's human players can deploy your team's rope from the airship, and you can climb it for additional points. 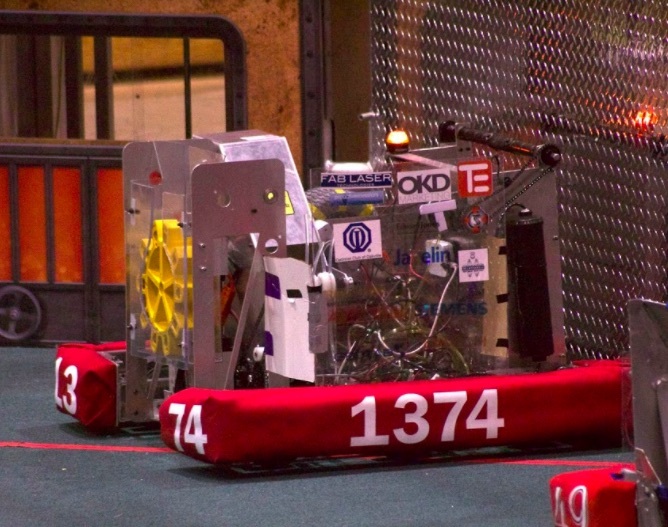 At this competition, our team ranked 25th and we were unfortunately not picked by an alliance for the playoffs. Although we did not make it to the playoffs we had a fun time at the competition with all of our friends. 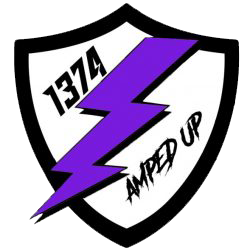 At this competition, our team ranked 38th and unfortunately, we did not get picked by an alliance for the playoffs. Although we did not make it to the playoffs, during the awards ceremony we actually won the Judges Award! This award was given to us because of our spirit during the competition, and it gave us a happy ending to our competition season. Although our team was not able to compete in the provincial championships, a few members of our team went to see how exciting the competition is. There were a lot of high scoring and exciting matches, and we also had lots of fun singing, dancing, and just enjoying the event. We hope to be able to attend the competition next year.